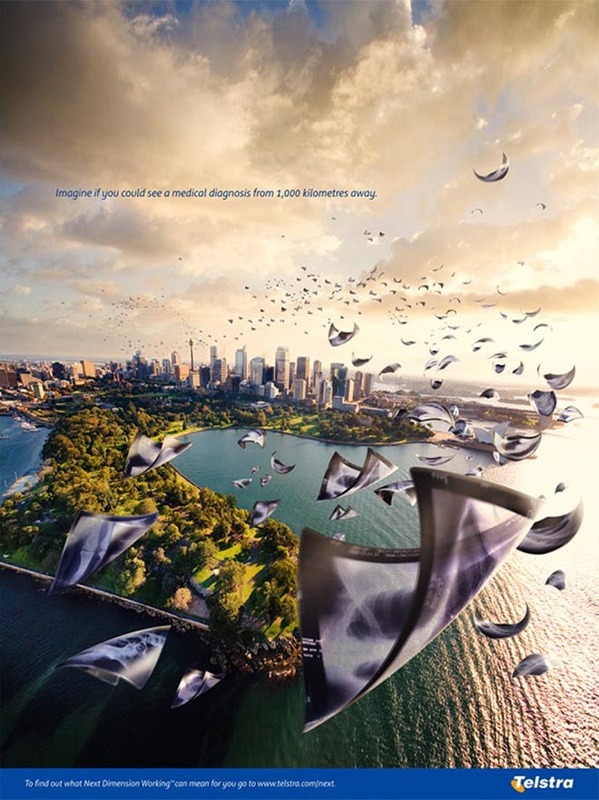 Telstra promotes the benefits of a widespread broadband service with appeals to imagination. 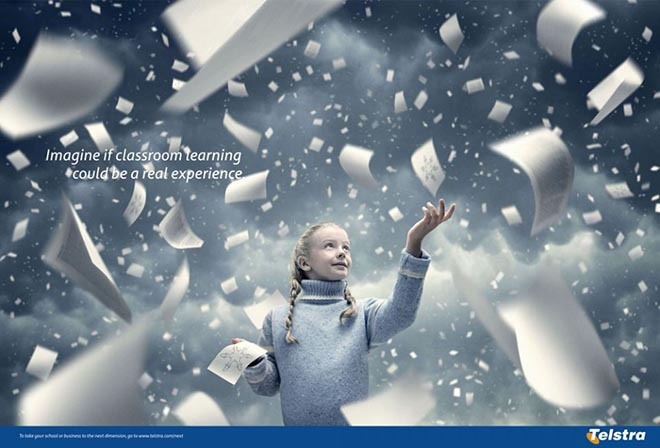 Imagine if classroom learning could be a real experience. 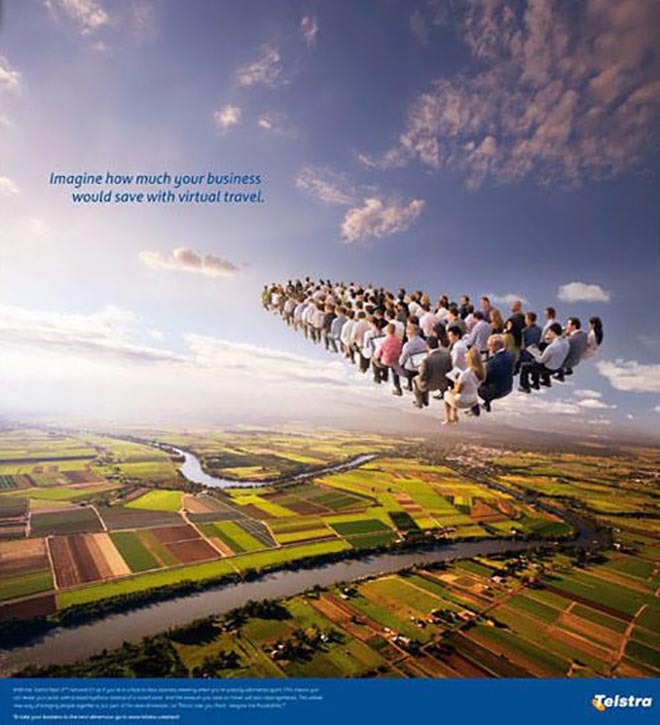 Imagine how much your business would save with virtual travel. Imagine if you could see a medical diagnosis from 1000 kms away. The campaign was developed at Singleton Ogilvy Mather, whose team included art director Gordon Higgins. Photographer was Gary Sheppard. Retouching was done at Electric Art.